I've noticed that, on some occasions when I search for a tag or other term, a search result will appear on two separate pages. For example, the post "Example Name" will appear as the xth result on page 2, but will then reappear as the xth result on page 3. 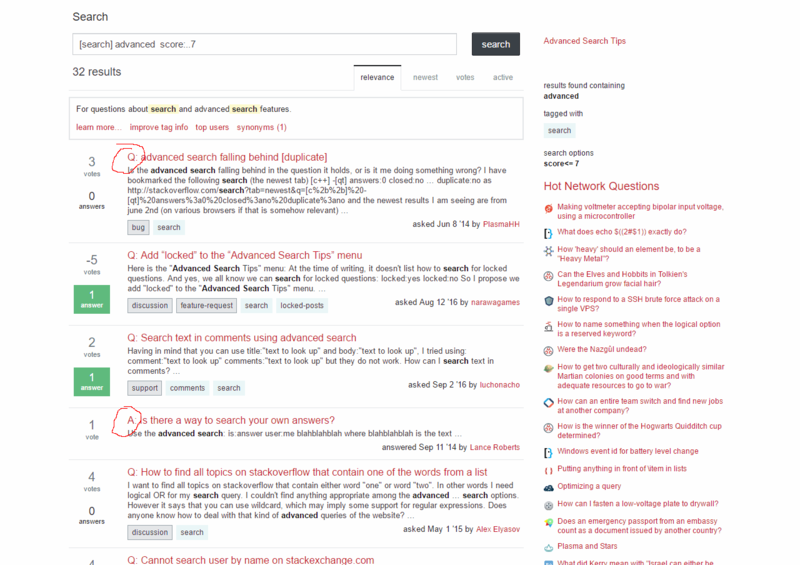 If you search without any other search options, you'll find any post in the results, either questions or answers. As answers have no title on their own, the question title is used in the search result. You can use any of the search options to limit the results. Adding is:q will only give you questions, is:a just answers. How to search for questions not containing a certain tag? Can the question list pages be prevented from being indexed by Google? 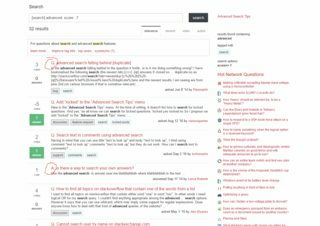 What is the Search Companies tab ordering its searches by? How to search unanswered questions with multiple tags? Can we search on Stack Overflow based on or condition over tags? Google search results now listing all SO questions under one result?